What are the benefits of building with metal? There are many reasons why you should strongly consider building with metal. If you are looking to build a new structure, why would you not consider a metal building? Metal is strong, maintenance free, quick to be built, comes to your job site in compliance with all County Code Requirements. 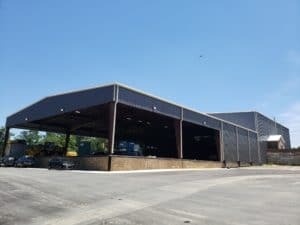 So, if you want a long lasting, well-built, quality metal industrial building, call the professionals at Premier Building Systems, Inc.